What special in-game events are happening this Halloween? Halloween, one of the best days of the year, is almost upon us! With the sweets and pumpkins also comes a landslide of in-game events for almost every game released ever. Here’s a quick run down of some of the things you can find in your favourite games over the next couple of weeks. Destiny is running its Festival of the Lost event until November 9 that includes new quests, consumables, gear, and a Thriller emote that is the best thing the game has ever done. Unfortunately some of the stuff you get during the event will expire once it’s over, with mainly only Legendary items surviving past that. 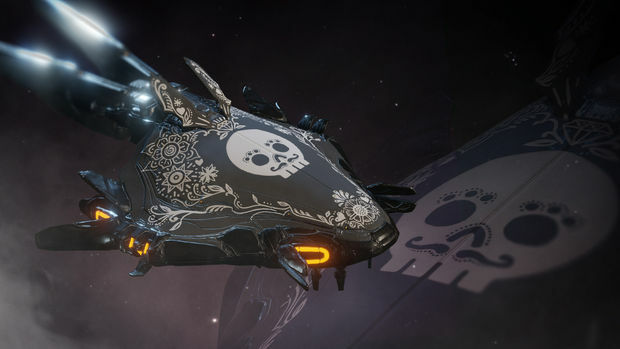 Warframe is doing things a little different, and is instead having a Day of the Dead celebration. Various themed skins for your Tenno’s capes, weapons and spaceships will be available, and I have to admit some of it is absolutely adorable. On top of that, a new type of glaive called the Cerata, and some special Halloween tactical alerts will be available. The event will last until November 4. Guild Wars 2’s event has already begun. The Shadow of the Mad King includes areas such as The Mad King’s Realm and the Mad King’s Clock Tower jumping puzzle. 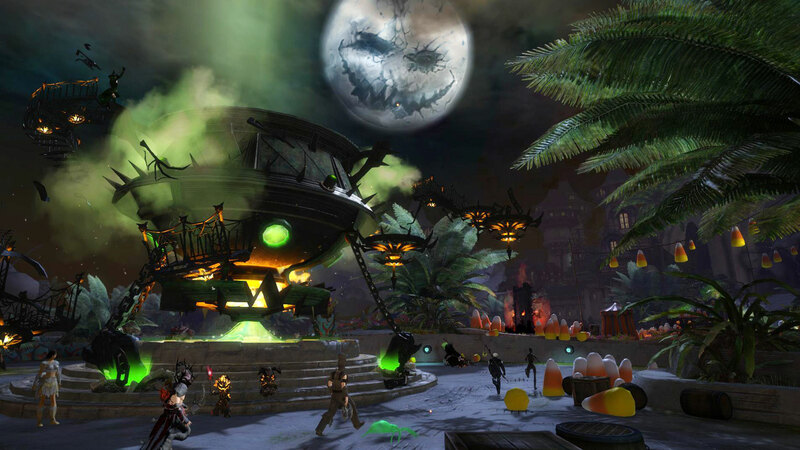 There’s also Halloween celebrations including mini-games and attractions going down in Lion’s Arch. As usual, there’s also some Halloween loot up for grabs, such as a neat Pumpkin staff and wearable bat wings. Team Fortress 2 has two Halloween events running at the moment. First is the Invasion update: while not strictly a Halloween event, it is a spooky-themed thing running at the end of October, which means it totally counts to me. New extraterrestrial-themed maps and enemies created by members of the TF2 community are running until November 5. The other Team Fortress 2 event is the official seventh annual Scream Fortress, which this year has also been created by the community. There are four new maps, some Harry Potter inspired taunts, new items available in the new Gargoyle Case, and the return of every other of the game’s previous Halloween updates. This one’s pretty huge. 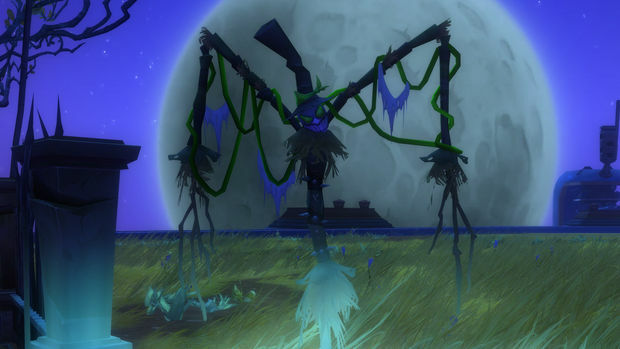 Wildstar’s not using its recent transition to free-to-play as an excuse to avoid Halloween, as it is currently running the Shade’s Eve event. There’s a new expedition known as Quiet Downs for players to embark on, new decorations for your house, and a lot of the main cities in the game have been given a spooky makeover. Shade’s Eve is running until November 2, so you haven’t got long to grab the loot you want from it. Daybreak, developers of Planetside 2, DC Universe Online, H1Z1, EverQuest, and Landmark have gone all out this year. New weapons, quests, items and more are on offer for all of their games, and as there are just too many to list individually, Daybreak have been really kind and given us a quick breakdown of what's going on. You can find that here, or on any other of the games' sites. Overkill somehow managed to find the time after making everybody angry to make an admittedly pretty awesome event for Payday 2. Running from October 29 to November 12, each day is introducing something new. 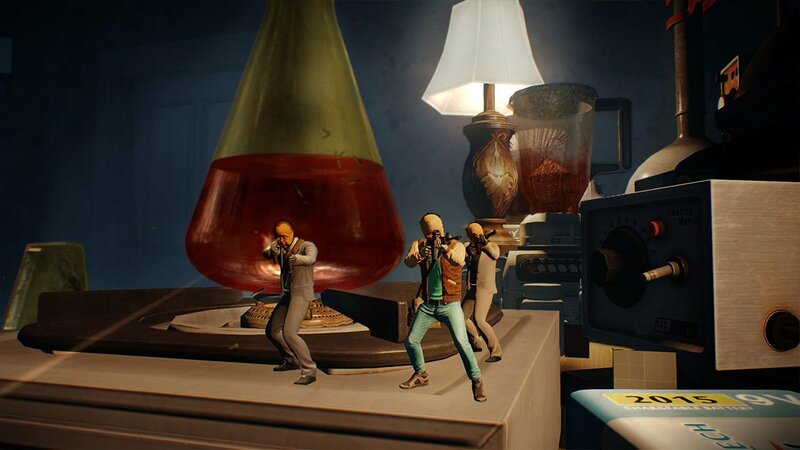 At the moment we have two new heists: Honey, I Shrunk the Heisters!, which sees your team shrunken down while fighting off teeny-tiny police and slightly bigger spiders, and The Safehouse Nightmare which includes the Necrocloaker and, terrifyingly, the Headless Titandozer. These maps are currently only meant to stick around during the event, but if they prove popular Overkill have said they’re open to the idea of keeping them in the rotation. Perfect World's Neverwinter is bringing back its annual Masquerade of Liars event. It'll begin October 29 and run until November 4 on both PC and Xbox One. Masquerade includes two new daily quests, a kind of adorable scarecrow companion, new consumables and some costume pieces for you. Most importantly, you can now have a Unicorn mask and bring frightening horse-themed terror to the lands of Neverwinter and beyond, impaling all of those who challenge thy mighty horn. 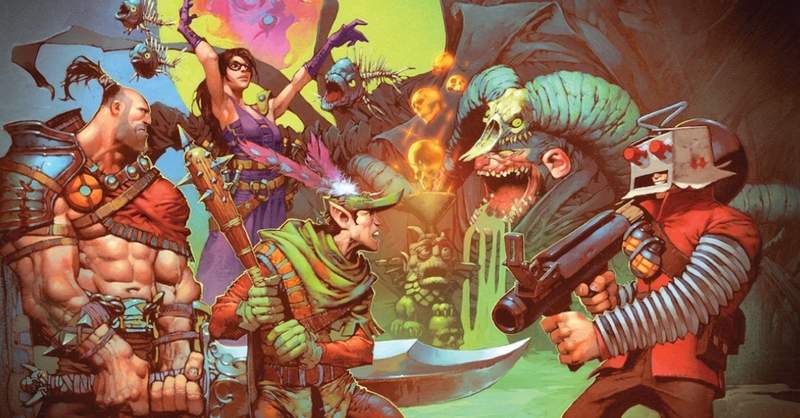 Finally, World of Warcraft and Heroes of the Storm are both running the Hallow’s End event. In World of Warcraft, the event will have three new quests including the seasonal boss the Headless Horseman. The same Horseman will be terrorising the cities of Azeroth, providing locations such as Razor Hill, Goldshire and Silvermoon City with events to help fix the damage he’s caused. 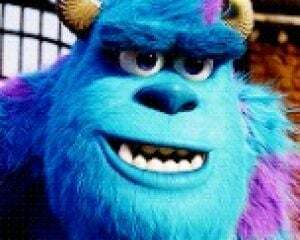 There will be plenty of rewards such as mounts and costumes, and there are 11 new achievements for the major completionists. In Heroes of the Storm, there is a week-long 50% bonus XP event lasting until November 3. You’ll also be able to earn a Jack-O’-Lantern portrait by winning 25 games before November 17. And of course, there’s a new Headless Horseman-themed mount, a new skin for Falstad, and a load of bundles are on sale during the event. This list doesn’t even include the various sales either upcoming or ongoing on various digital distribution sites like PSN, Green Man Gaming, and Steam if none of these games quite take your fancy.